The Cayuga Vocal Ensemble is a twenty-voice choral ensemble of professionally-trained singers, presenting a wide variety of works from a broad spectrum of periods and genres. 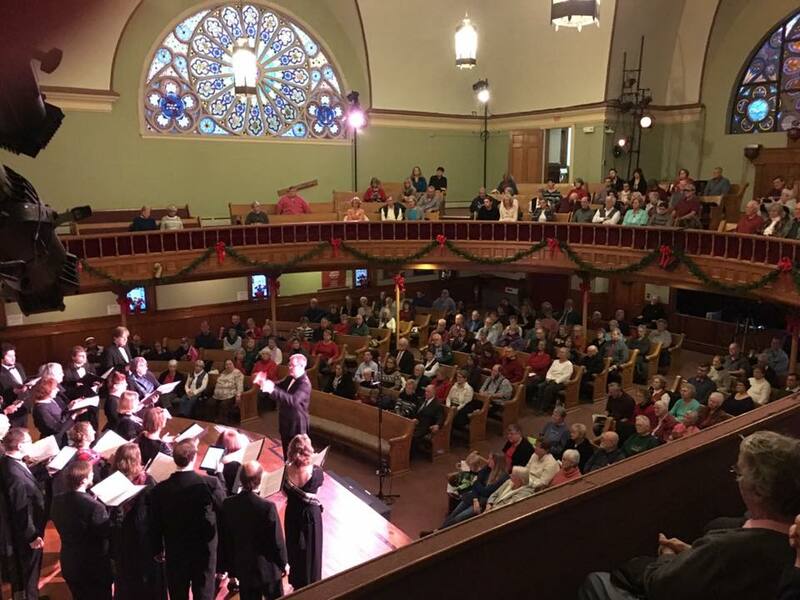 Our mission is to share our passion for choral music with the Ithaca community and surrounding region through performances that exemplify music’s unique power to touch the human heart and mind. As a small choral ensemble, we offer outstanding performances of diverse repertoire reaching across genres, time periods, and cultures, and bringing to varied audiences a deeper understanding and broader appreciation for choral music. We are based in Ithaca, New York and we invite you to join us! Please enjoy these recordings of recent live performances, and visit our Media page for more audio and video links. You can also browse our history through our 40th anniversary slide show.